My car was built in July 1989 which was the first month of twin turbo production. 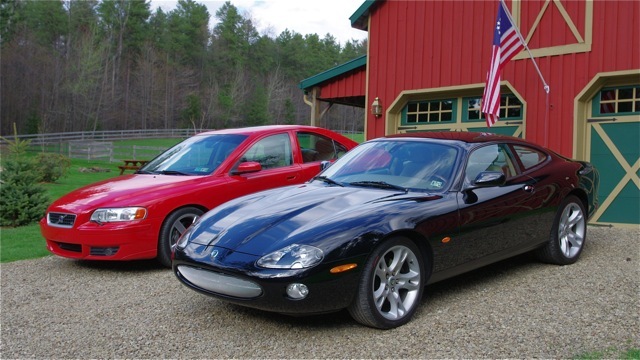 It was the first year of production for what is considered to be the fourth generation of Z cars. It was a major improvement in performance and styling compared to prior generations and was recognized by Motor Trend magazine as their 1990 Import Car of the Year. The advantage of the twin turbo design (with intercoolers) over a single, larger turbo charger is that the twin turbos are smaller with less inertia so they spin up faster than a larger turbo and thus avoid the "turbo lag" that plagues many turbo-charged vehicles. 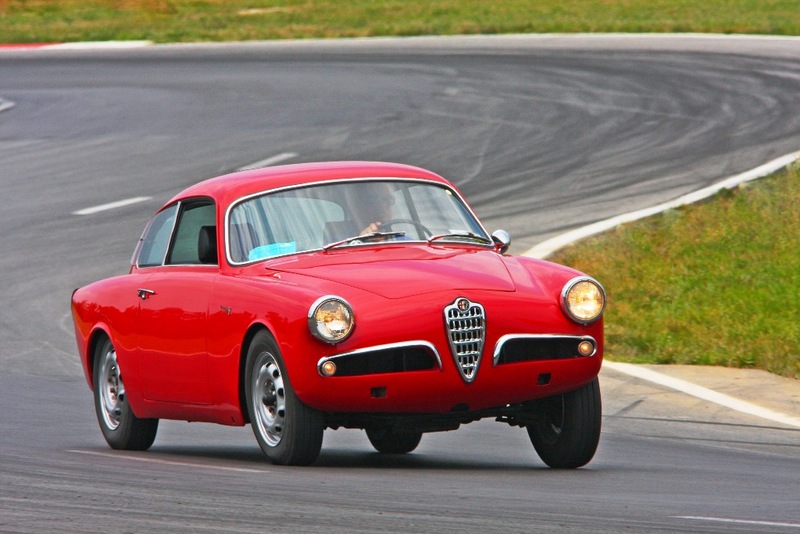 Other technical innovations included super-HICAS four wheel steering, four wheel disc brakes with anti-skid, multi-link independent front and rear suspension, electronically adjustable shock absorbers, direct injection, variable valve timing and variable, speed sensitive power steering. The car was built for export to Canada so it has features to comply with Canadian regulations including headlamp washers, daytime running lights and a different seatbelt mounting arrangement than US cars. 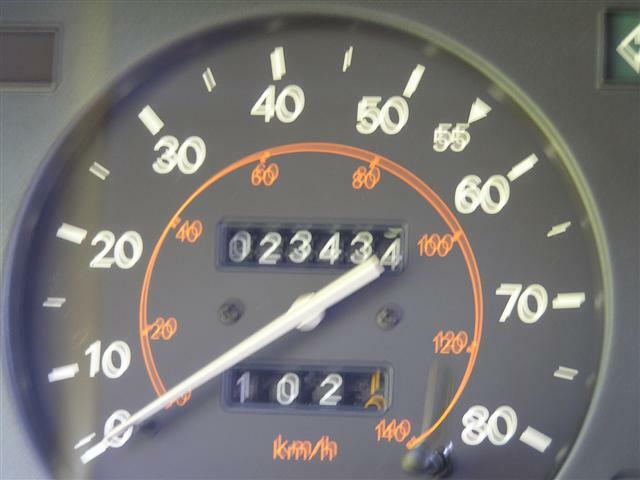 The instruments are all in metric including a 260 kph speedometer. There is no character in the VIN (JN1CZ24S2LX000042) to differentiate US versus Canada production so I believe mine is the 42nd TT ever built. I bought the car in June 2004 from the original owner in Montreal. When I purchased the car it had only 18,504 kilometers on the odometer (11,498 miles). 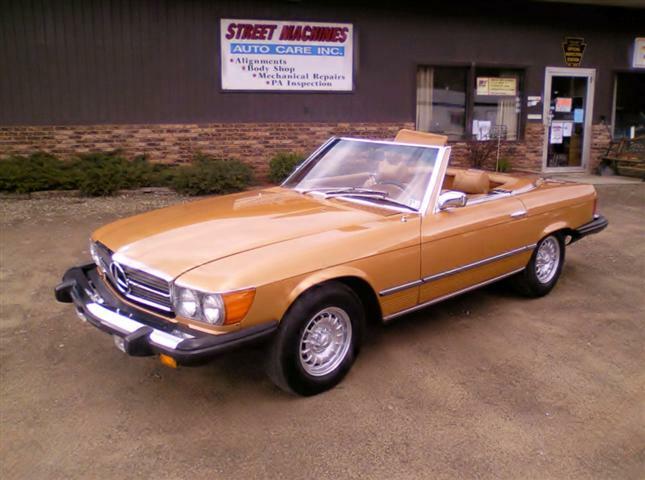 The car was in outstanding original condition. However the engine compartment had never been touched so I spent many hours detailing the engine compartment, suspension and exhaust in order to compete in the Z Car Club Association judging. The car was awarded a Gold Medallion at the 2005 International Z Car Convention scoring 297 out of a possible 300 points. This is the ultimate award in Z car judging after which the car is retired by rule from further Z car competition since it has achieved the pinnacle of restoration/preservation. 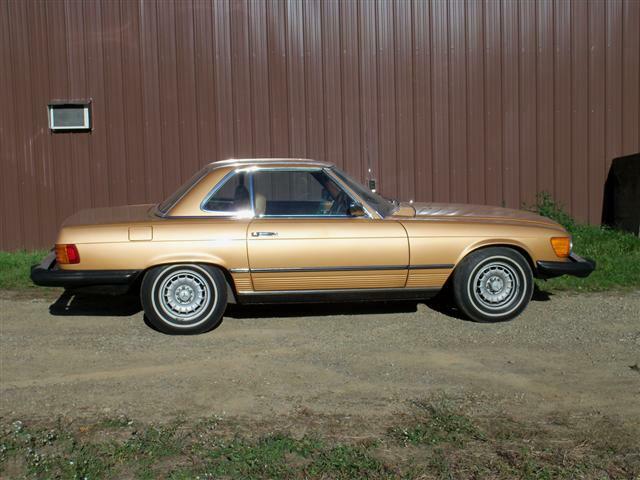 I did enter the car in the 2006 Ohio Concours in Ault Park, Cincinnati where it won Best in Class (Collector Asian). This 1953 MG TD was restored from close to basket-case condition over a 2-year period from 2002 to 2003. 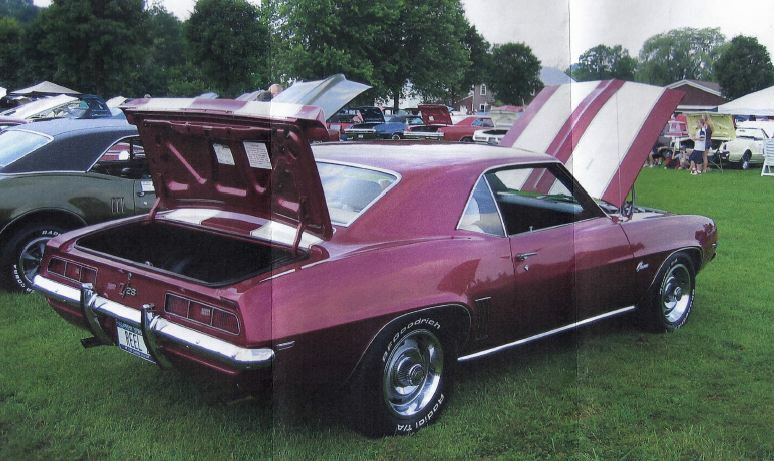 With the exception of engine machining, all restoration work was done personally by the owners, including paint and construction of the interior. Ring and pinion replacement from an MGA makes for easier road travel with this car, which is driven all season long. 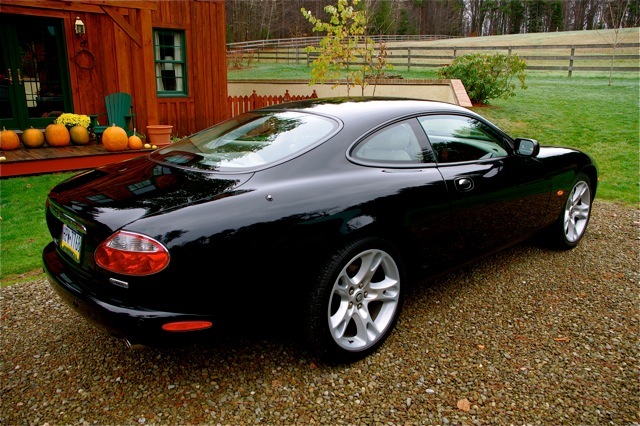 The car is a 2004 Jaguar XK8 coupe with 24,000 original miles. I purchased the car last September after selling my 1969 E-Type (now in Paris). This is without question the nicest car I have owned or driven. The E-Type DNA is apparent in the styling but the modern performance is just outstanding and light years beyond the E-Type, not to mention the reliability issue. Since owning the car I have added a mesh grill, high performance air filter, and quad tip high performance exhaust. Austin-Healey 3000 MkIII: I have owned the car since 1972 and completed a five year restoration of it in 2003. 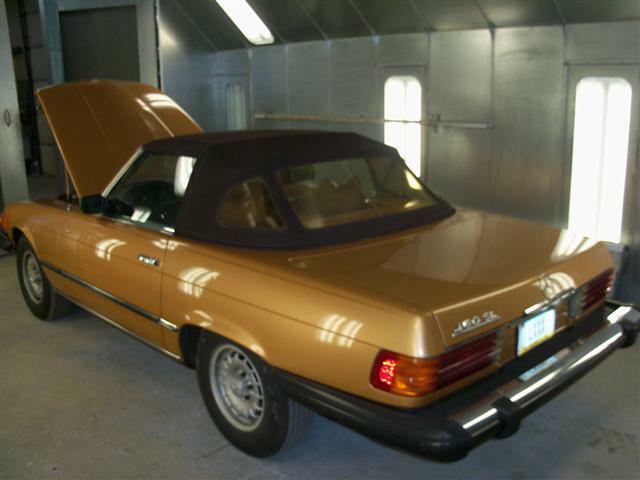 The hardtop is a factory hardtop-rare option for a late AH 3000. This car was manufactured in Los Angeles California by Shelby American Inc. on May 24, 1967 and is one of 1175 Shelby GT350s made in 1967. The 1967 Shelby’s were the first production cars made with a roll bar as standard equipment. They were also the first cars to come with inertial shoulder belts (attached to the roll bar), which were designed after those found in F-4 jet fighters. The upper side scoops are to extract hot air from the interior and the lower side scoops are to vent cool air to the rear brakes. 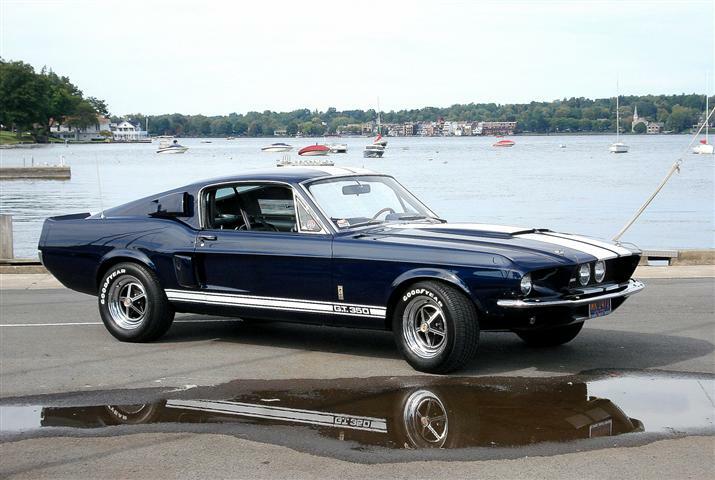 1967 was the last year the Shelby Mustangs were manufactured by Carroll Shelby and Shelby American Inc. All Shelby’s produced after 1967 were manufactured by Ford in Michigan. 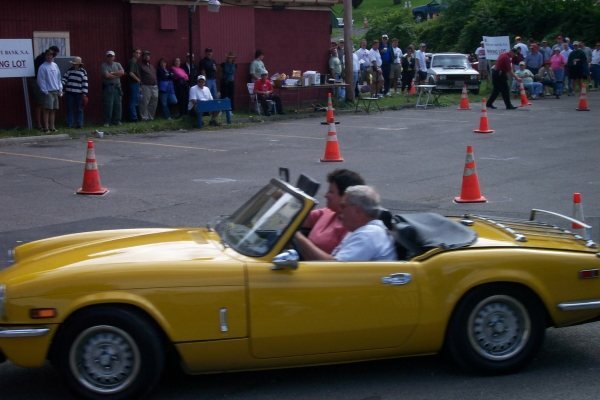 I have owned this car since 2001 and it is registered in the Shelby American Automobile Club registry. Carroll Shelby has signed the passenger sun visor including the car‘s serial number. 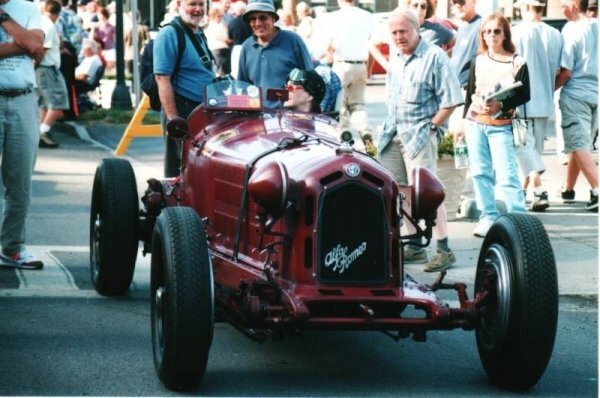 Recent awards include “Designer Top 12” at the 2010 Syracuse Nationals and “Honorable Mention” at the 2010 Watkins Glen Grand Prix Festival Concours d'Elegance. The car also is included in the 2011 “Mustangs of the Finger Lakes” calendar and is featured on the cover. Color:	Nightmist Blue with White LeMans Stripes. 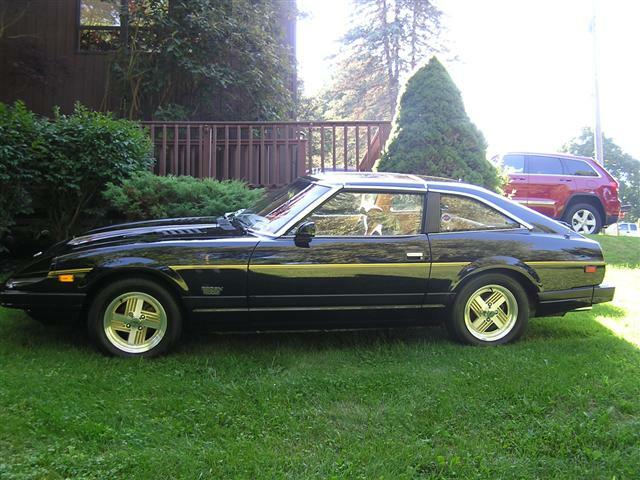 Engine:	289 cubic inch Ford HIPO (High Performance); factory rated at 306 horsepower. Front Grill:	Inboard hi beam lights. 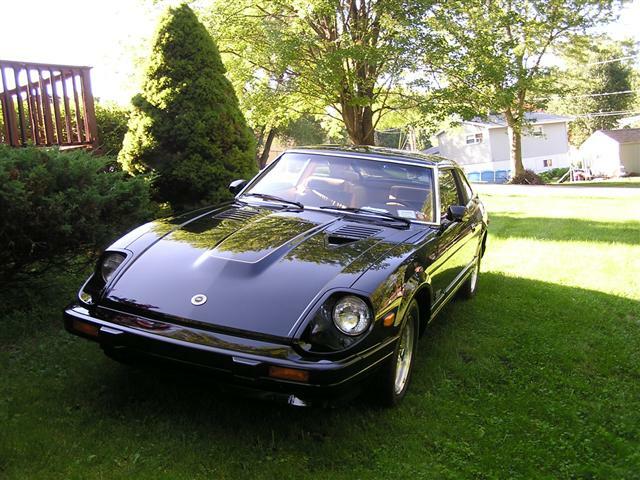 I special ordered this z car turbo model new from Datsun in 1982, a special edition model that year. As you can see, it currently has 23K miles on it. Everything on the car is original with the exception of tires and fanbelts. Brakes, exhaust, a/c-are all original. 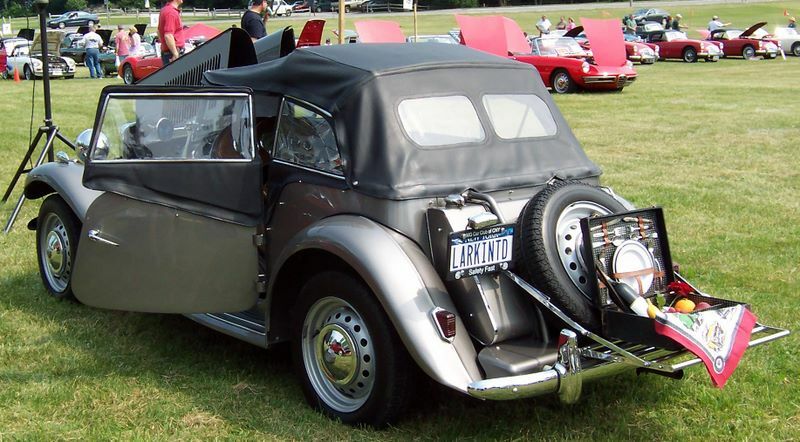 This car has been entered into numerous classic car shows for the last 7 years; it took third place in the National Z-car Show; it has taken first place each year for 5 years at the fingerlakes Z-car show; it took "Best in Class" and "Best in Show" at the 2008 Northeast Z-car Show in Saratoga Springs. It most recently took first place at the Fingerlakes Show in June 2011. 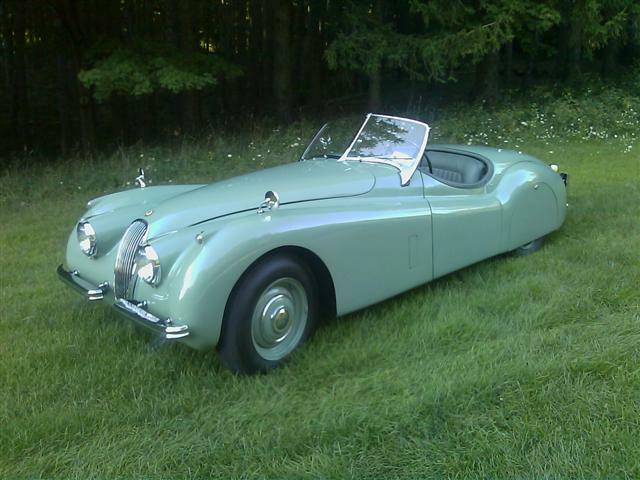 This roadster was built near the end of the XK120 production run in March 1954. Current owners Bill and Janet Goodman purchased this car in 1969. 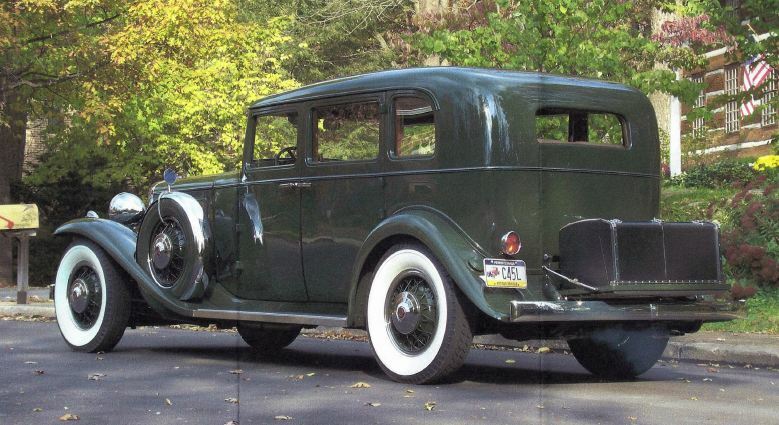 It was already pretty "tired" even back then having already been through at least a couple of previous owners, re-painted at least twice in an incorrect British Racing Green, bondoed up in the lower front fenders and rear fender skirts, and repaired at some point (rather poorly!) from an accident that crunched the front of the car on the driver's side. The leather was cracked and the carpets worn - but it still ran well and was fun to drive! Bill used it sparingly for a few summers and then I used it as my summer car while still in high school during 1976 and 1977. After that, for more than 20 years it lay mostly dormant waiting to be restored to its' former glory. In January 2000 that process began in earnest when I drove it, still under it's own power, to a shop to have the engine removed so it could be completely rebuilt. After the engine was done and back in the car, what began in the fall of 2000 as a cosmetic restoration turned into an 8 year, body off restoration resulting in what you see today. 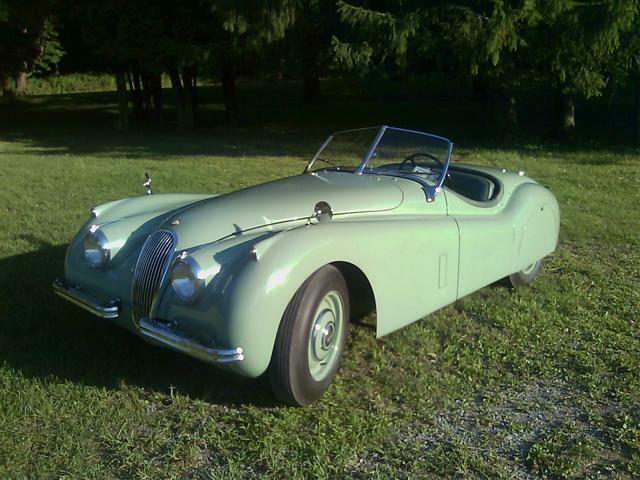 This is a numbers matching car restored to it's original Willow Green exterior and Suede Green interior color combination. It does not get trailered, but is driven to any show or event it goes to. And it still is a blast to drive!